How can I choose The Fatima Center over the Pope? One way we know without a doubt that Catholicism is the one true faith is the apostolic succession that runs from St. Peter to the current Pope. The current Pope tells us that Vatican II was a good Council and that the liturgical reform that resulted in the Novus Ordo Mass is irreversible. Yet the Fatima Center and other traditional groups say that the Pope is mistaken. Even though I feel drawn to the Traditional Mass, how can I follow the Fatima Center over the Pope? In taking a stand against many of the Church’s established teachings, the post-conciliar Popes have set themselves in opposition to all of the previous Popes. While we are both safe and justified in adhering to the Church’s traditional teachings and practices, we would incur the anathemas pronounced by Popes throughout the history of the Church if we were to abandon those true expressions of Catholic Faith for the novelties of modern-day churchmen. Father Albert Kallio, O.P. is a traditional Dominican priest. Originally from Canada, Father studied in Italy and France and was ordained in 1994. Since then he has traveled around the world, preaching and teaching, as well as writing for several publications. 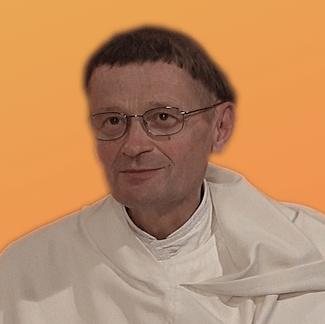 Since late 2013, he has been the superior of the traditional Dominicans in Steffeshausen, Belgium.